This Freshwater Lake Cruise, has been in operation since 1985, and features lots of wildlife, gorgeous scenery, fantastic photo opportunities. Eagles observed on 100% of our trips! Bears observed on over 50% of our trips! Also frequently seen are Mountain Goats, Herons, Mergansers, Sockeye Salmon, Moose, Mink, Seals and Otters. Experience an enchanted Alaskan exploration upon glacial waters aboard our 28 foot pontoon boats. Frequented by Eagles, Brown Bears and Mountain Goats and infused with captivating historic Tlingit legends, Chilkoot Lake remains a treasured fishing ground, featuring spawning salmon and trout. Wildlife, including eaglets raised along the shore and bears feeding on salmon, spend their day in sight of our boats. These boats are compatible with large lenses used in professional photography; so take your time and get the perfect shot! While viewing cascading waterfalls, alpine snowfields and rugged mountains, our naturalist will delight you with tales and legends of colorful Alaskan heroes, Alaska native lore and natural history. As summer progresses, native Sockeye or Red Salmon, make their arduous fight back into this serene glacial lake for spawning, ensuring healthy future generations of this magnificent fish. For good reason, the Tlingit named this lake Chil-Koot, or "Basket of Bigger Fish". Throughout the summer, guests are able to capture the remarkable spawning ritual close-up, better understanding the interconnected Alaskan ecosystem. 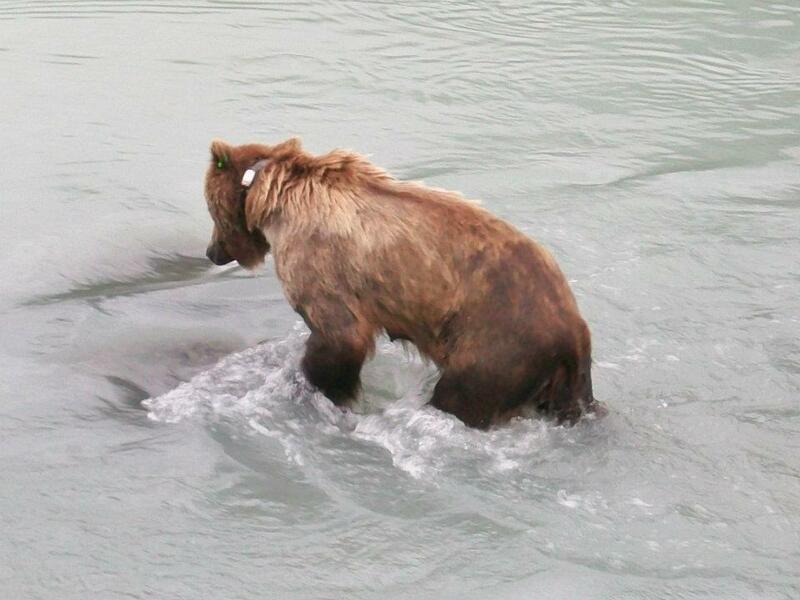 Hungry brown bears may join you at the spawning beds for a tasty meal of salmon, their main food source.